Alice may be the president's daughter, but she's nobody's darling. 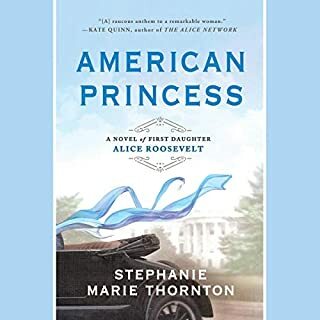 As bold as her signature color Alice Blue, the gum-chewing, cigarette-smoking, poker-playing first daughter discovers that the only way for a woman to stand out in Washington is to make waves - oceans of them. With the canny sophistication of the savviest politician on the Hill, Alice uses her celebrity to her advantage, testing the limits of her power and the seductive thrill of political entanglements. London, 1938. The effervescent "It girl" of London society since her father was named the ambassador, Kathleen "Kick" Kennedy moves in rarified circles. Eager to strike out on her own, Kick is soon swept off her feet by Billy Hartington, the future duke of Devonshire. But their love is forbidden, as Kick's devout Catholic family and Billy's staunchly Protestant one would never approve their match. When war breaks like a tidal wave across her world, Billy is ripped from her arms as the Kennedys are forced to return to the States. Not just a piece of fluff! In 1937, 28-year-old Martha Gellhorn travels alone to Madrid to report on the atrocities of the Spanish Civil War and becomes drawn to the stories of ordinary people caught in the devastating conflict. It's the adventure she's been looking for and her chance to prove herself a worthy journalist in a field dominated by men. But she also finds herself unexpectedly - and uncontrollably - falling in love with Hemingway, a man on his way to becoming a legend. In the shadow of the impending Second World War, Martha and Ernest's relationship and their professional careers ignite. 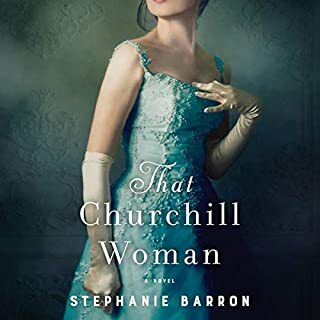 The Paris Wife meets PBS’s Victoria in this enthralling novel of the life and loves of one of history’s most remarkable women: Winston Churchill’s scandalous American mother, Jennie Jerome. It's wedding season on Nantucket. The beautiful island is overrun with summer people - an annual source of aggravation for year-round residents. When one lavish wedding ends in disaster before it can even begin - with the bride-to-be discovered dead in Nantucket Harbor just hours before the ceremony - everyone in the wedding party is suddenly a suspect. As Chief of Police Ed Kapenash digs into the best man, the maid of honor, the groom's famous mystery novelist mother, and even a member of his own family, the chief discovers that every wedding is a minefield - and no couple is perfect. When her boss tells her about the discoveries in a cramped, decrepit apartment in the ninth arrondissement, Sotheby' s continental furniture specialist April Vaught does not hear "dust" or "rats" or "shuttered for 70 years". She hears Paris. She hears escape. She cannot board the plane fast enough. When she arrives, April quickly learns the apartment is more than just some rich hoarder' s repository. Beneath the dust and cobwebs and stale perfumed air is a literal goldmine - and not just in terms of actual dollars. From the internationally best-selling author of Somewhere in France comes an enthralling historical novel about one of the most famous wedding dresses of the 20th century - Queen Elizabeth’s wedding gown - and the fascinating women who made it. In 1965 Manhattan, patrons flock to Masha’s to savor its brisket bourguignon and impeccable service and to admire its dashing owner and head chef Peter Rashkin, the most eligible bachelor in town. But Peter does not care for the parade of eligible women who come to the restaurant hoping to catch his eye. Running Masha’s consumes him, as does his terrible guilt over surviving the horrors of the Nazi death camp while his wife, Masha - the restaurant’s namesake - and two young daughters perished. Then exquisitely beautiful June Bouquet, an up-and-coming young model, appears at the restaurant, piercing Peter’s guard. 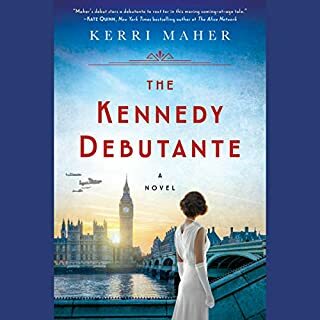 This is a captivating historical mystery, infused with romance, that links the lives of three women across a century - two deep in the past, one in the present - to the doomed passenger liner, RMS Lusitania.... Her finances are in dire straits, and best-selling author Sarah Blake is struggling to find a big idea for her next book. 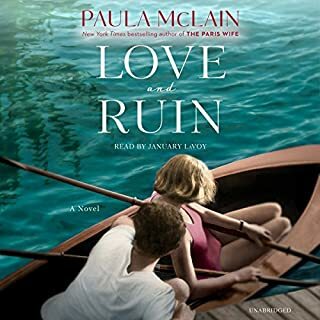 Desperate, she breaks the one promise she made to her mother and opens an old chest that belonged to her great-grandfather, who died when the RMS Lusitania was sunk by a German U-boat in 1915. What she discovers there could change history. I enjoyed this book, at least most of it. Irene Steele's idyllic life - house, husband, family - is shattered when she is woken up by a late-night phone call. Her beloved husband has been found dead, but before Irene can process this tragic news, she must confront the perplexing details of her husband's death. He was found on St. John, a tropical island paradise far removed from their suburban life. 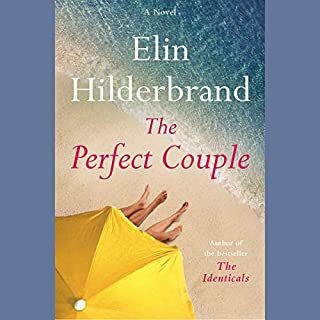 Leaving the cold winter behind, Irene flies down to the beautiful Caribbean beaches of St. John only to make another shocking discovery: her husband had a secret second family. Investigating, she is plunged into a web of intrigue and deceit belied by the pristine white sand beaches of St. John. The Lowcountry of South Carolina is where By Invitation Only begins, at a barbecue engagement party thrown by Diane English Stiftel, her brother Floyd, and her parents to celebrate her son’s engagement. On this gorgeous, magical night, the bride’s father, Alejandro Cambria, a wealthy power broker whose unbelievably successful career in private equity made him one of Chicago’s celebrated elite, discovers the limits and possibilities of cell phone range. Physician Bess Codman has returned to her family's Nantucket compound, Cliff House, for the first time in four years. Her great-grandparents built Cliff House almost a century before, but due to erosion, the once-grand home will soon fall into the sea. Though she's purposefully avoided the island, Bess must now pack up the house and deal with her mother, a notorious town rabble-rouser, who refuses to leave. Nina Browning is living the good life after marrying into Nashville's elite. More recently, her husband made a fortune selling his tech business, and their adored son has been accepted to Princeton. Yet sometimes the middle-class small-town girl in Nina wonders if she's strayed from the person she once was. Tom Volpe is a single dad working multiple jobs while struggling to raise his headstrong daughter, Lyla. His road has been lonely, long, and hard, but he finally starts to relax after Lyla earns a scholarship to Windsor Academy, Nashville's most prestigious private school. Elise Sontag is a typical Iowa 14-year-old in 1943 - aware of the war but distanced from its reach. Then her father, a legal US resident for nearly two decades, is suddenly arrested on suspicion of being a Nazi sympathizer. The family is sent to an internment camp in Texas, where behind the armed guards and barbed wire, Elise feels stripped of everything beloved and familiar, including her own identity. The only thing that makes the camp bearable is meeting fellow internee Mariko Inoue, a Japanese American teen from Los Angeles. 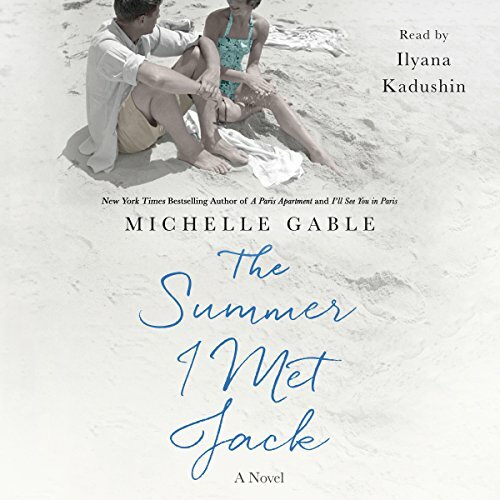 In this scintillating audiobook from New York Times best-selling author Michelle Gable, listeners are asked to imagine the affair between John F. Kennedy and Alicia Corning Clark - and the child they may have had. 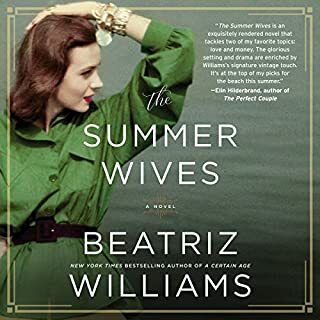 In 1950, a young, beautiful Polish refugee arrives in Hyannisport, Massachusetts, to work as a maid for one of the wealthiest families in America. Alicia is at once dazzled by the large and charismatic family, in particular the oldest son, a rising politician named Jack. Alicia and Jack are soon engaged, but his domineering father forbids the marriage. And so, Alicia trades Hyannisport for Hollywood and eventually Rome. She dates famous actors and athletes and royalty, including Gary Cooper, Kirk Douglas, and Katharine Hepburn, all the while staying close with Jack. A decade after they meet, on the eve of Jack’s inauguration as the 35th president of the United States, the two must confront what they mean to each other. The Summer I Met Jack is based on the fascinating real life of Alicia Corning Clark, a woman whom J. Edgar Hoover insisted was paid by the Kennedys to keep quiet about not only her romance with Jack Kennedy but also a baby they may have had together. It's hard for me to read historical fiction about famous people because I want to know what's fact and what's fiction. I've read where the author says that it is all fiction, and I've read where she says that it's all based on facts with fiction in between the facts. I don't know what to think about this book and I don't have time or desire to start searching to know what's real and what's not! 500 pgs should have done that for me! I love the readers voice and this book was fascinating! Definitely recommending this to others who want to read about JFK theories. I love this book. It could take you back in time and also break your heart. Stretches a lackluster story way too far and takes ridiculous liberties with conspiracy theories about the Kennedys. While I did finish it, I was glad to have it done. I wouldn't recommend.